I work together with internal clients in assessing the local needs in terms of Learning & Development programs, in reviewing and evaluating training programs and following up on them. My goal is to design a complete curricula to prepare the Service Shared Center associates for enhanced performance in their current role and future growth opportunities within Office Depot. I really enjoy to develop and deliver training programs specifically designed to enhance the skill sets of the SSC associates. Office Depot is the best place to work with great colleagues, always open minded and very committed to what they do. I discovered people with zest for life and full of energy, inspirational and passionate about their job. It’s fun, challenging, innovative and it’s the reason I come to the office with a lot of joy every morning. If you are looking for development opportunities, for an environment to learn both on a professional and a personal level and also have fun – this is the place for you! If you want a career, not just a job – this is the perfect occasion! Know what you want, go for it and join the best! 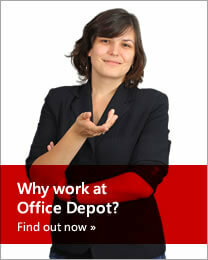 I believe Office Depot is a great place to work because people are considered the greatest asset of the company. When I first started in Office Depot in 2008, I was responsible for setting up the training system of the Shared Service Center. 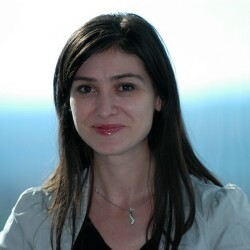 I joined the HR team since the beginning, in 2007, and throughout the years I had various responsibilities.